Glückstadt is located approx. 60 kilometres north of Hamburg directly on the Elbe. There are several ways to find us. On the following pages, you will find all necessary information on how to get here. Please note: Never stop where your vehicle will cause obstruction or danger to regular bus lines, for example by double parking. Approx. 10 minute walk to the marketplace. Please note: there is a railway crossing on the way to the marketplace. Approx. 5-10 minute walk to the marketplace. Approx. 50 metres behind the Stöpe (opening in the dyke) at the sheet piling. Approx. 15 minute walk to the marketplace. 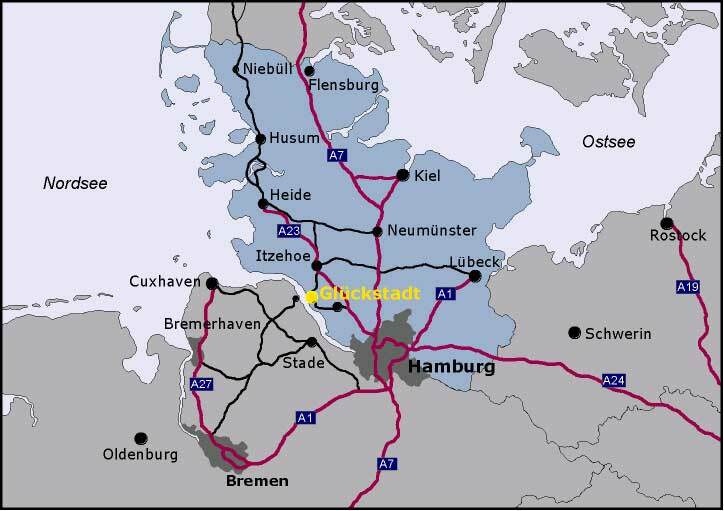 Glückstadt is part of the train connection from Hamburg to Westerland, located between Herzhorn and Krempe; you can use either the local train provider Deutsche Bahn (DB) or Nordbahn. 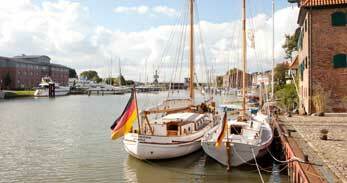 Glückstadt’s train station is only a three-minute walk away from the town centre. There are trains running approx. every hour. 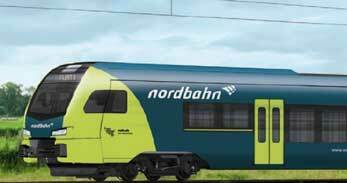 In Elmshorn, you can change to local trains to either Kiel or Flensburg, which also stop at Glückstadt. 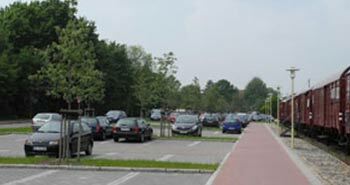 The town centre of Glückstadt has lots of parking spaces, so that visitors will find it easy to get close to all the attractions, shops and restaurants. An der Feuerwache, Christian-IV-StraßeMany side streets in the town centre and at the inland port provide visitors with free parking for up to 2 hours using a parking disc. On weekends, these metered parking spaces can also be used free of charge. Anchorage both at outer harbour and inland port. Would you prefer to put the (bicycle) pedal to the metal in summer and explore the surrounding landscape by bike? No problem. 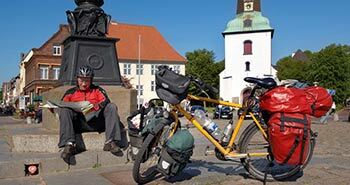 You will find that the bike paths in and around Glückstadt are in excellent shape. 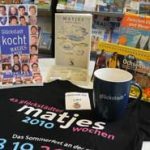 Glückstadt is located directly on the following long-distance bike paths: Elbe Bike Path, North Sea Cycle Route, German Ferries Route and Monks’ Trail. This makes our town the ideal point of departure or arrival for day trips by bike. The above opening hours apply from 1 May to 30 September. The tidal barriers are opened every 60 minutes on weekdays, which means that they can be crossed for a short period every 60 minutes. Apart from a lunch break, the tidal barriers are open for cyclists and pedestrians on Saturday, Sunday and on public holidays. If a ship needs to go through the barrier, it will be closed for crossings by foot and by bike whilst the ship passes through. 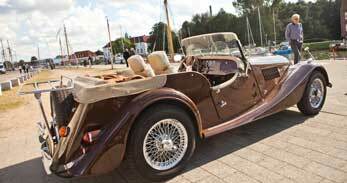 You can easily find Glückstadt by car when you follow the Autobahn (motorway) A7 and A23. 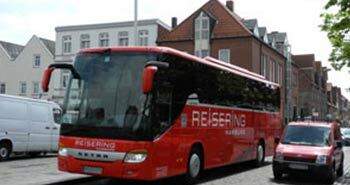 You can calculate your personal travel route to Glückstadt with Google Route Planner.